Three figure skaters who train at the Cornerstone CFCU Arena in Lockport will represent the United States of America later this month in Linz, Austria. U.S. Novice National Ice Dance Champions Jocelyn Haines and Jimmy Koszuta competed with distinction at the Lake Placid Ice Dance Championships (July 24-27) in the Junior Dance event. 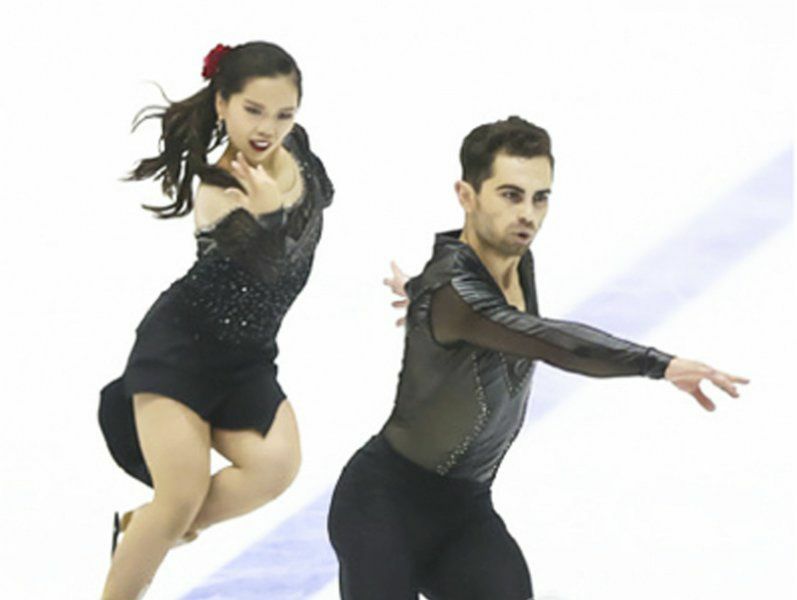 According to the official Cornerstone website, the pair skated exceptionally strong in both segments of the competition with a fierce rhythm dance followed by an emotionally inspired free dance. The programs were reported to be technically and artistically exceptional in a field of internationally recognized ice dance teams. Their technical element base across the board had positive execution marks from all judges. Most of their elements earned Level 4 marks. Based on their outstanding performance, the pair secured their first ever Junior Grand Prix assignment in Linz. The event is slated for Aug. 29 through Sept. 1. In other Cornerstone news, Sydney Sikorski of Buffalo Skating Club also competed at the event with another vibrant and technically-strong program. Sydney won the intermediate solo free dance portion of the compe tition, claiming a silver medal in what was considered a strong field of nine in her event. Natasha Weinberg, who has also trains at Cornerstone, placed fourth in a field of a dozen girls in the Juvenile Solo Combined Dance event. Local hockey fans are urged to come and experience the exciting world of Canadian Junior Hockey as the Lockport Regals Junior team prepares to begin another exciting season in the Greater Ontario Junior Hockey League/OHA. Each player on your team, wearing their game jersey, will be admitted free of charge with a paying adult. The regular $7 adult admission will be available for $5 with a minimum purchase of 10 tickets. The Cornerstone will acknowledge your team during the game and your players will have a special section reserved for them in the Arena. Playe rs will also receive a raffle ticket and be eligible for prize give aways during the game. You can also book a private area for your team in the arena's âParty Zoneâ with food and beverage packages. Then there's a âBig Guys Nightâ package at the arena. Bring your beginner or mini mite players to a game and watch them play a mini five-minute game in between the first and second period of a Junior game. The arena will provide up to 20 adult passes and up to 20 player passes for $99. Additional adult passes can be obtained at a discounted rate of $6. A special reserved section will be provided for each team and players will be eligible for prize give aways throughout the game. If interested, contact Preteroti at the number and e-mail listed above. Volunteers are needed at the arena to assist with game- day operations. People are needed to play music, to do PA announcements, greet fans, pass out give away items, setting up the Party Zone, selling souvenirs, helping with chuck-a-puck and any number of other duties that are required to conduct a smooth game day operation. Last month marked the beginning of the arena's first annual appeal campaign. To donate, go to paypal.me/lockportice.